Want unlimited access? 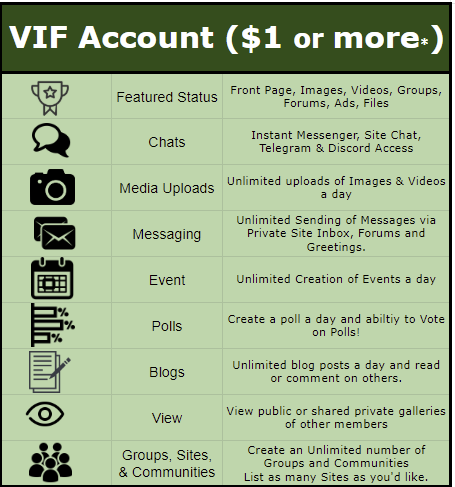 Become a VIF today for as little as $1.00 USD! 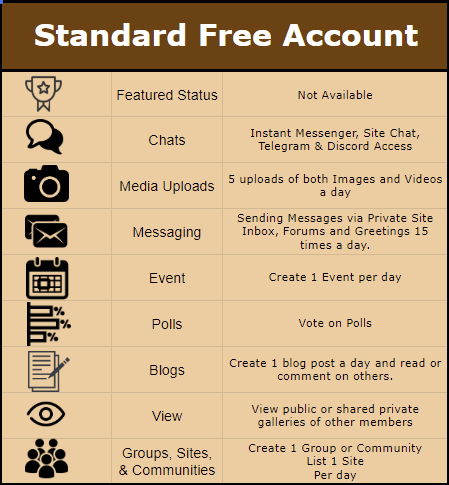 You are seeing this section because you are either a new member that is waiting to be approved (WE READ PENDING PROFILES, SO PLEASE MAKE SURE YOU ENTERED GOOD INFORMATION), or, a member with a standard free account and have reached your daily/monthly limit. While FurriesXtreme is free, it's run on donations. Please consider donating. For ways to donate, click here. For a list of benefits you get when you donate, click here. I thought this site was free? It is a free site! You can use every feature for the most part. However, a free account is restricted to some daily or monthly limits. Once that timeframe ends, you can use the feature again. For example: If you are allowed to upload 5 images a day, you'll be able to do so every 24 hours. There are over 30,000 furs here, isn't that enough money? Unfortunately they don't all donate :( If everyone donated $1 a year, the site would be paid up for years! We would, but some of the issues cost money to fix. Developers that know the platform do not come cheap. How much money do you get a month? The site's creator is really transparent about the costs and how much he receives in donations. Click your Account Page and scroll down to the Spreadsheet to see who is donating and how much FX has received for the month or year.